Education: Bachelor, American College of Greece (Pierce College); Law Degree, Sorbonne (Paris I), with specialization in International, Comparative and European Law; Degree in International Relations, Institute of Political Sciences in Paris. 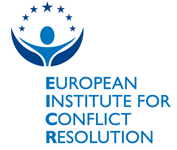 She was trained in Mediation at CEDR. Professional Career: Aphrodite is the head of Bleta & Kostakis law firm and of the mediating group Mediate.gr. She is the General Secretary for the Greek Union of Mediators, member of the Mediators Committee for OPEMED, member of the European Patent Institute, Chair of the Hellenic Chinese Center for Enterpreneurship, representative of Athens at the BECC, vice-president of the International Council of the Union of European Women. She has acted as judge and mediator at the international mediation competition of ICC in Paris. 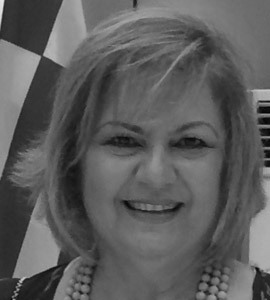 Previously, she was General Secretary for the Association of Industries of Attica – Piraeus, Chair of the Administrative Committee for the Hellenic – Chinese Chamber of Commerce, vice-president of the Board of Directors of the Greek Red Cross, member of the Committee of article 15 for the Piraeus Court of First Instance. She is a scientific associate for the legal magazine “Wolters & Kluwer” and member of the Advisors Committee to the Chairman of the American College of Greece. She is married, mother of three.